Info: Dubbed ‘The Brock Malloy Edition’, this is a single cask (number 328) which produced 240 bottles and was distilled in 1986, making it 28 years old. More info on SWB here. Colour: A full late summer gold with hints of orange. Nose: Beautiful and old. There’s a fruit salad of ripe tropical fruits all presented in an old oak bowl. The oak notes are subtle but add a nice elegant base note throughout. There’s a milk chocolate note that kicks in after a few minutes, along with toffee, making me think of Cadburys Eclairs. There’s also notes of soft sweet red apples. It’s a balanced and graceful nose. Palate: Thick and fairly luscious. It’s smooth and easily introduced, however there’s enough abv and pinches of spice to let you know it’s a dram that means business and isn’t just going to be underwhelming. The fruit salad found on the nose is present, along with very gentle old malt. Hold it on your tongue for a while and the slight spices begin to ease off and a slight white wine note comes out along with those touches of milk chocolate. Finish: The finish is fairly buttery, sweet, and really quite long. The oak appears a little more here, there’s some tannins, but only enough to give it some depth and not to overpower it with dryness. Quite a grassy note towards the end. Yum. Thoughts: An absolutely cracking single cask Glenturret, showing the whisky off at it’s best; a malt that really can shine at older ages. Nice presentation; a great looking bottle. Info: Released for the 2014 Commonwealth Games. Aged for 28 years, 1800 bottles. Originally reviewed on SWB in Nov 2014, however the notes below are new for this review. 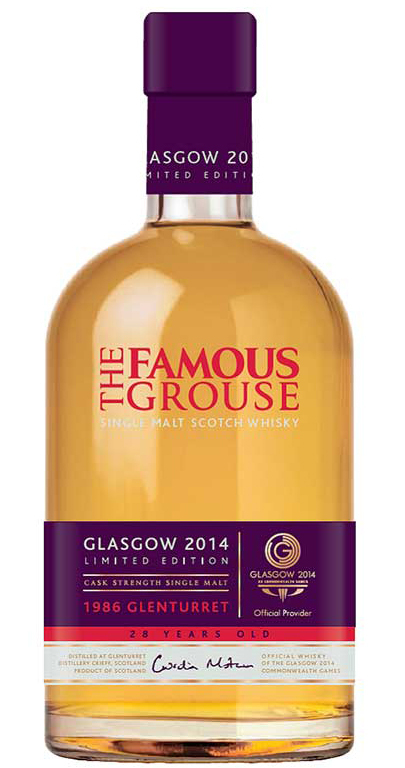 Colour: Summer gold, slightly lighter than the single cask above. Nose: The nose here seems deeper than the single cask, possibly more of a sherry note, it sees to have more hints of raisins. That said, the single cask nose is more to my liking today, it’s cleaner and less confused (not that I’d really call the Games edition confused). 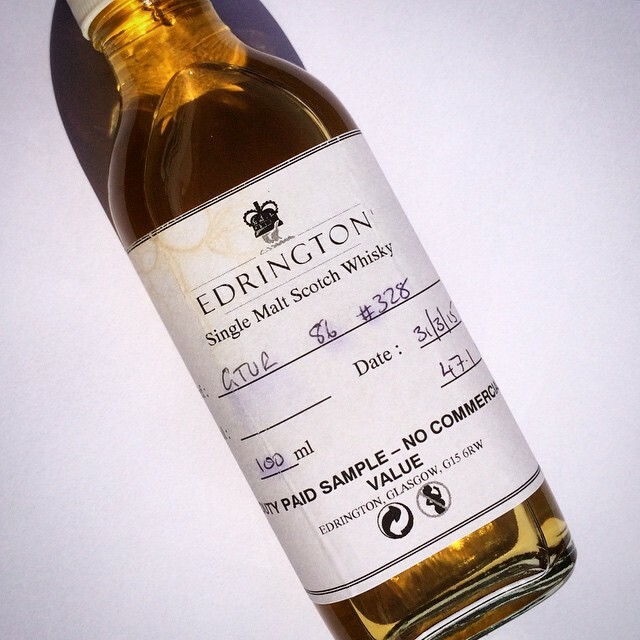 The single cask has a smoother more vanillery sweetness to it. The Games edition improves more and more with time, give it a some good time to breath. Palate: Gentle and slightly spiced, those fruity notes coming through, and possibly slight sherry hints there along with the raisins. The spices continue to slowly build, unlike the single cask which gently fade (my preference). Ripe bananas. Finish: Quite a lively and interesting finish for a well aged dram, a little more tannin led than the single cask, and possibly not quite as long, although that would be nit picking and maybe even incorrect! Thoughts: It’s a great dram, and if you managed to pick up one for £120 then it was excellent value (it’s now £150 which is still good value when compared to many on the market at this age). Overall Thoughts: The single cask is the more gentle and quality of these two fantastic drams, however there’s not loads to pick between them (other than one is £50 cheaper than the other). For me I’d pay the extra £50 for the 1986 as you’re getting a single cask of excellent quality. The Games edition has won praise from some and the single cask edition deserves to win even more. Extra: Sometimes you have to leave a dram for a good while to breath and “improve”; the Games edition certainly needs some time, but the single cask is great pretty much from the get go, and that makes it a winner in my mind as I’m an impatient drinker, bad I know. Thanks to Glenturret for the sample. 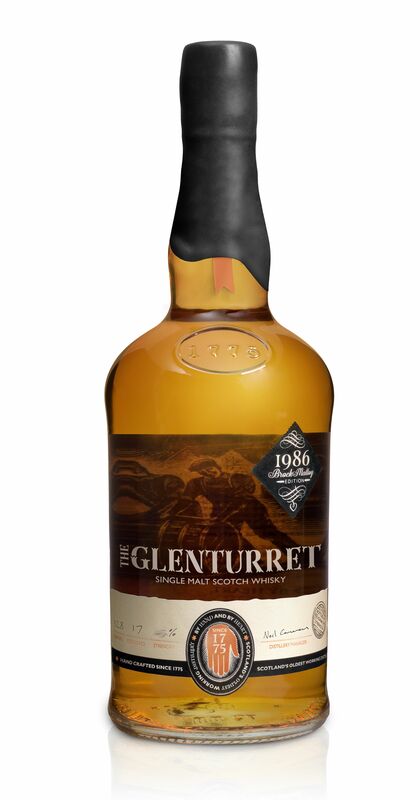 This entry was posted in Review, Whisky and tagged Glenturret. Bookmark the permalink.